This hat looks like quality from first sight. It is made of heavy duty cotton, so it is both soft and comfortable to wear. It features a hint of colour along the arch trim, which is also known as a sandwich trim. It is just enough of contrast to catch attention while retaining a clean-cut, refined look. 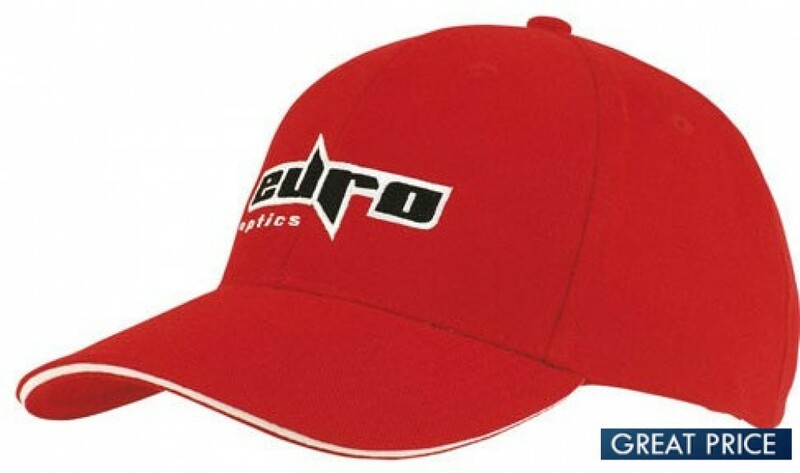 This cap comes in a range of colour options to choose from. The hat is solid all the way around and features an adjustable fit, so it comes in one size. It is a great hat for when you don’t want to deal with different sizes when making your order. 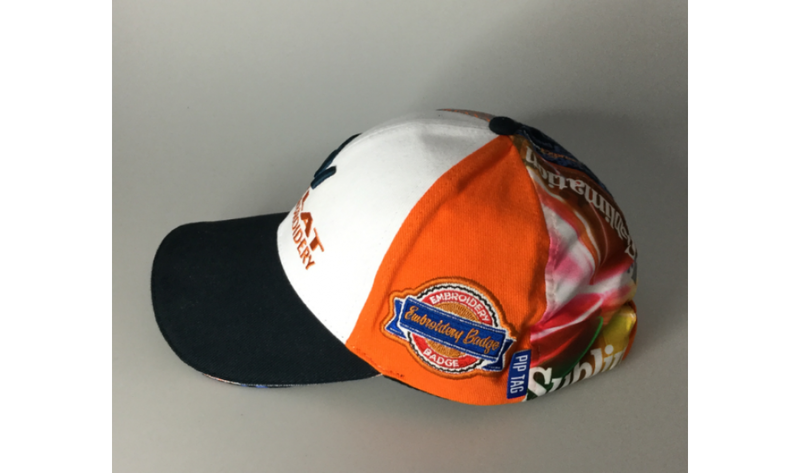 These hats look great as they are, but they will look even better when branded with your promotional artwork. 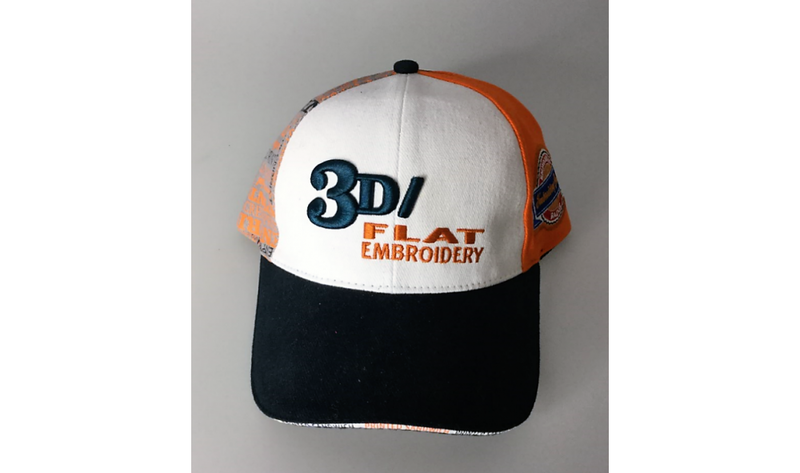 We can print, embroider or badge your design on the front, sides or peak of these handsome caps. This would be great for any outdoor function when you want to keep the sun off your face and you’re head cooler. Daily wear as a part of your attire or your work attire. It is a great style that will look great on anyone. Great for employees or for customer giveaways. These caps come with 8000 stitch embroidery as standard. Other branding options are available -- ask our sales staff for options and costing. Please send your branding artwork in eps, pdf, or high-resolution jpeg. Listed price excludes GST and delivery costs. These charges will be included in your obligation-free quote. 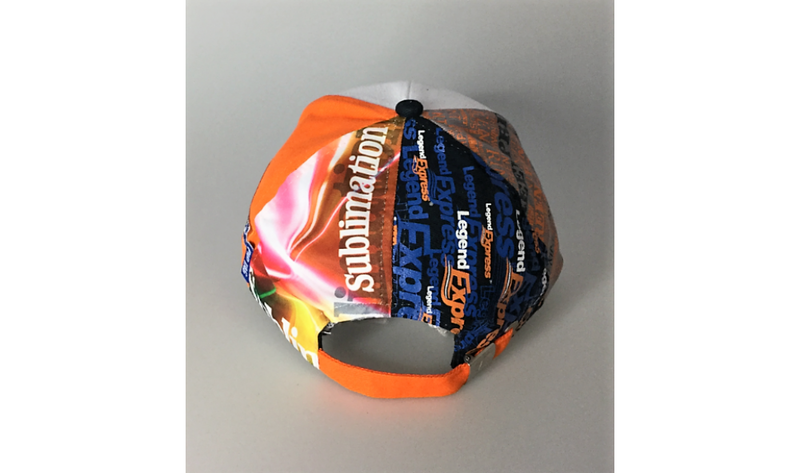 Ask about our digital mock-up service to see what your finished cap will look like -- before production.